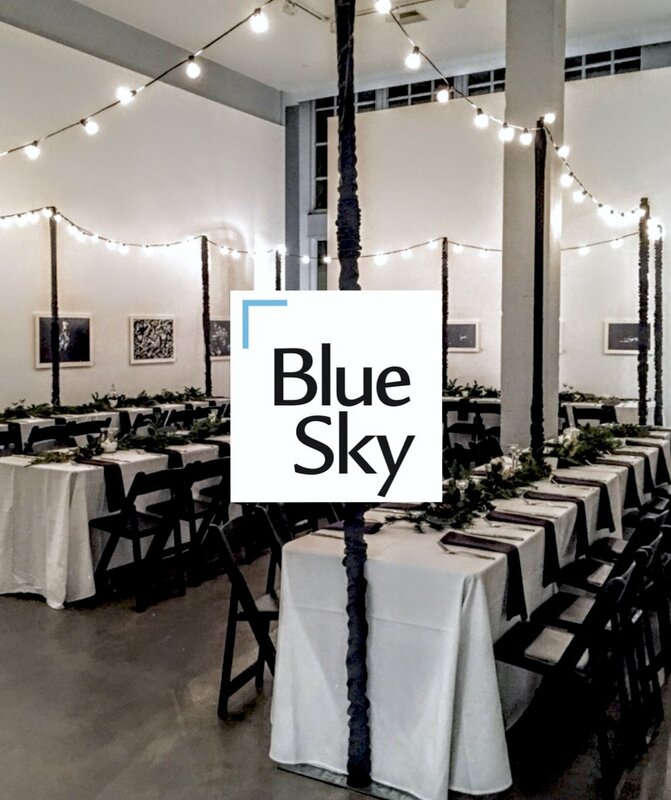 Blue Sky is an ideal contemporary venue for meetings, receptions, parties, and celebrations for up to 120 people situated on Portland’s scenic North Park Blocks. Contact Amanda B. Clem, Membership and Gallery Manager, at amandaclem@blueskygallery.org or 503.225.0210 to schedule a visit to Blue Sky and begin planning your next event. The DeSoto Building’s rooftop terrace is a unique venue also available for outdoor events during the summer months, not managed by Blue Sky.